There is seemingly no limit to the amount of literature on discipleship and spiritual growth out there. But not all of it is created equal. Some books are overly theoretical, making discipleship more complicated than Jesus ever intended. Others are so focused on being practical that they feel like a straitjacket — like if you don’t follow that author’s exact program, you might as well give up all hope of obeying the Great Commission! Discipleship and books have long been deep passions of mine, so naturally I’ve read a lot of discipleship books! Here are the ones I’ve come to consider the “cream of the crop” — works that strike a balance between theory and practice, explanation and motivation. They are works that have pushed me personally to grow closer to Jesus, so I’m confident they’ll be useful to you as well. 1. 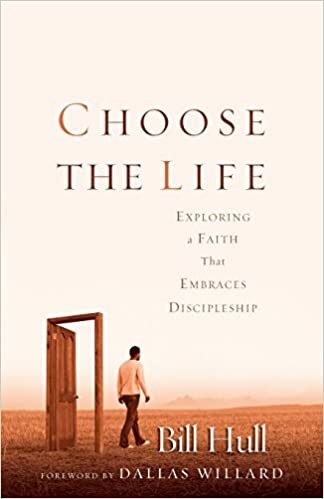 Choose the Life: Exploring a Life that Embraces Discipleship by Bill Hull. Hull has written numerous books on discipleship, but this one is my personal favorite. It’s my favorite because it represents a distillation of Hull’s intense passion for discipleship and his many years of ministry into a powerful, convicting, and heartfelt summons to a life of following Jesus. Choose the Life is easy to read but at the same time very difficult to finish, because with every paragraph Hull does such an amazing job of conveying just how crucial it is to actually go out and do discipleship — which Hull breaks down into the topics of living the way Jesus lived, believing as he believed, loving the way he loved, serving the way he served, and leading the way he led. “A faith that separates salvation from discipleship is not the faith of the New Testament. Faith without obedience is not real; it is nothing more than an intellectual exercise. . . . Enough of the church has accepted a nondiscipleship Christianity to render it ineffective at its primary task — the transformation of individuals and communities into the image of Christ” (10-11). Here’s another great quote: “The Great Commission has more to do with depth than strategy. The awful truth is that we are making very little impact on culture because we are shallow. And we are shallow because we have separated salvation from discipleship” (31). I strongly encourage any and every believer to give Choose the Life a considerate read. 2. 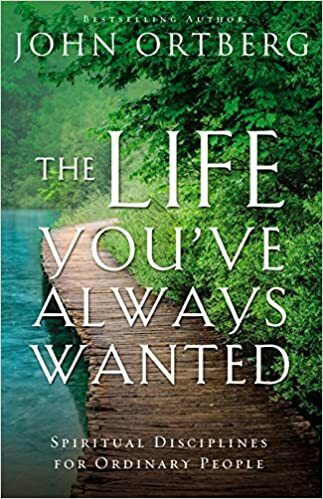 The Life You’ve Always Wanted: Spiritual Disciplines for Ordinary People by John Ortberg. Granted, the title of this one may sound a bit cheesy, but don’t let that put you off. Ortberg is a solid teacher and pastor, and this book is all about how to grow in your personal discipleship. With a witty and relatable writing style, Ortberg introduces spiritual disciplines in a user-friendly way. I especially appreciated his chapters on living an unhurried life and on learning to hear the guidance of the Holy Spirit. Also beneficial was his chapter on the role of suffering in discipleship — a topic you don’t always see covered in such popular-level treatments. “Too often people think about their ‘spiritual lives’ as just one more aspect of their existence, alongside and largely separate from their ‘financial lives’ or their ‘vocational lives.’ Periodically they may try to ‘get their spiritual lives together’ by praying more regularly or trying to master another spiritual discipline. It is the religious equivalent of going on a diet or trying to stick to a budget. The truth is that the term spiritual life is simply a way of referring to one’s life — every moment and facet of it — from God’s perspective. Another way of saying it is this: God is not interested in your ‘spiritual life.’ God is just interested in your life. He intends to redeem it” (15). “We know that as Christians we are called to ‘come out and be separate,’ that our faith and spiritual commitment should make us different somehow. But if we are not marked by greater and greater amounts of love and joy, we will inevitably look for substitute ways of distinguishing ourselves from those who are not Christians. . . . If we cannot be transformed, we will settle for being informed or conformed” (30-31). And one more, from the chapter on hurry: “For many of us the great danger is not that we will renounce our faith. It is that we will become so distracted and rushed and preoccupied that we will settle for a mediocre version of it” (77). 3. 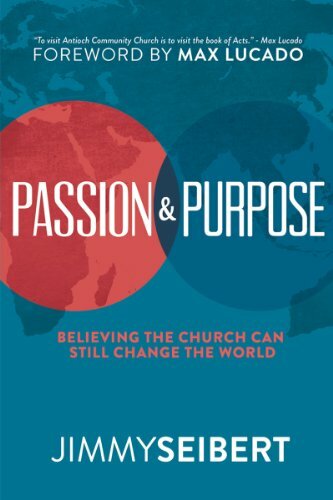 Passion & Purpose: Believing the Church Can Still Change the World by Jimmy Seibert. The principles communicated in Passion & Purpose are as simple and straightforward as it gets, but it’s really the stories Seibert relates that will motivate you to step out in obedience to Jesus. The simple, real-life testimonies of God’s miraculous work through Seibert and Antioch encouraged me not only to pursue greater levels of discipleship ministry, but also to believe that it’s possible to do this, and that God will indeed move through my faithful obedience. I believe it will encourage you, too. 4. 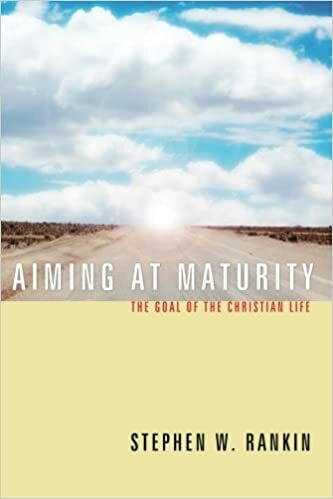 Aiming at Maturity: The Goal of the Christian Life by Stephen W. Rankin. This one’s a little more academic than the previous three, but it’s one I still highly recommend, especially to pastors or teachers. Rankin, who is the chaplain at Southern Methodist University here in Dallas, has written a penetrating and insightful book that will help you think deeply and theologically about how spiritual growth works. He examines the New Testament term for “mature” (teleios, which some translations render as “perfect”) and diagnoses what true spiritual maturity looks like and how we can help people move toward it. For Rankin, the biggest challenge facing Christians today is that “we seem to have lost track of what being a grown-up Christian looks like” (2). In an age where most professing Christians equate maturity with keeping all the rules, we need more than ever to clarify the goal of Christian living — which is “becoming increasingly like Jesus for the sake of accomplishing Christ’s purposes in the world. For the sake of Christ’s Kingdom, a mature disciple looks and acts like Jesus in the day-to-day messiness of real life” (6). “Immaturity shortchanges the blessing of life in Christ. But it also affects others. We who have been Christians for a while need to grow up for the sake of others, particularly the generations following us. Our growing to maturity in Christ is not just for our own sakes. It is for theirs. They need to see wisdom, stability, peacefulness, and loving, sacrificial service from us. We need to pass on the best of what we have learned in life. The world desperately needs grown-up Christians” (16). 5. 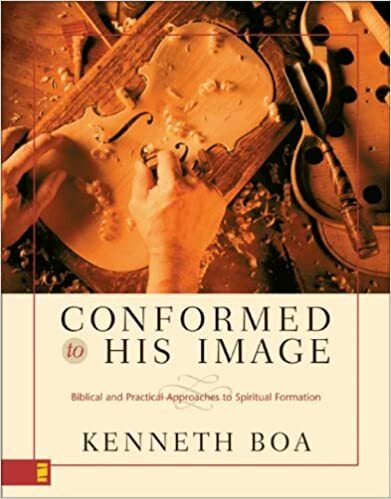 Conformed to His Image: Biblical and Practical Approaches to Spiritual Formation by Kenneth Boa. “In these postmodern times, there is a growing desire for an authentic spirituality that will touch our lives in a meaningful and practical way. The biblical vision of the spiritual life as a redemptive relationship with the living and personal Creator of all things can satisfy this deep desire, but most accounts of this vision are fragmentary or one-sided. The purpose of Conformed to His Image is to offer a more comprehensive, balanced, and applicable approach to what it means to know Christ” (21). Pursuing growth in the context of church community. Conformed to His Image would make a perfect textbook for a class or small group focused on spiritual formation. And there you have it — my shortlist of top books on discipleship. Did any of your favorites get left out? Let me know in the comments! I would add to that list the book Disciples of a Godly Man/Woman (they are two separate books by a couple named Kent and Barbara Hughes). I will check out the books you listed. Thanks for reading! I’ll be sure to check out the Hughes’ books.